I returned by bus to the Indian Restaurant just outside Cheltenham to restart the walk. 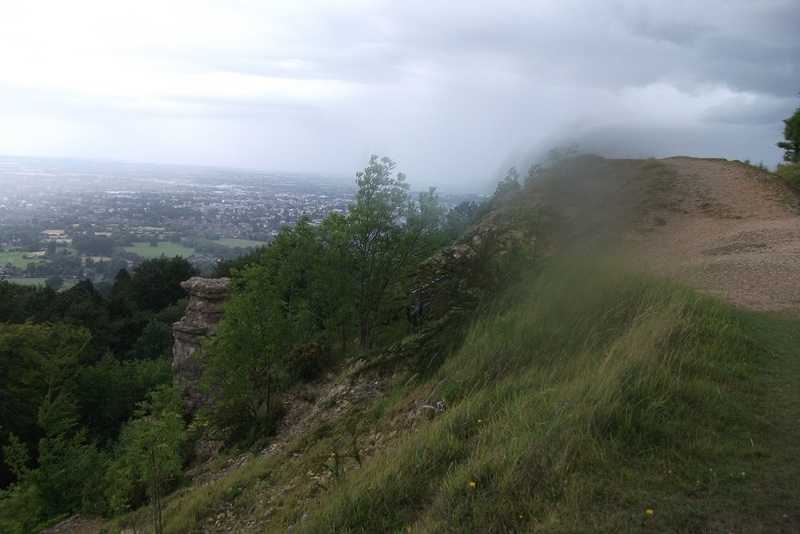 Climbing up through Lineover Wood to the top of Leckhampton Hill, I paused to look at the view - magnificent but spoilt by incoming rain. I walked over the open land on the edge of the escarpment in squally showers and gusty wind, eventually descending into the more sheltered valley. 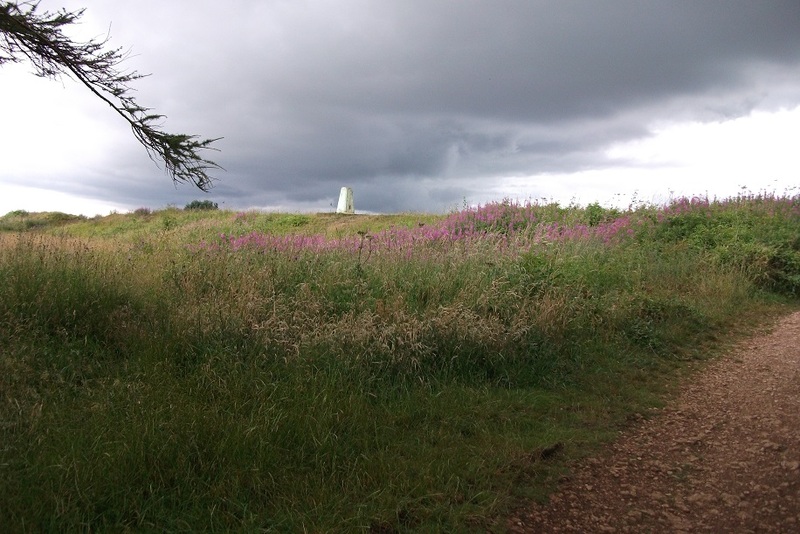 After a short stop for lunch I tackled Crickley Hill, which is surmounted by an Iron Age fort. After the peace and quiet of the hills I came to the road at the Air Balloon Roundabout. This was full of queuing traffic and I was glad to turn off the road again for the woods of the Peak and Birdlip Hill. Her I left the path temporarily to find my hotel for the night.